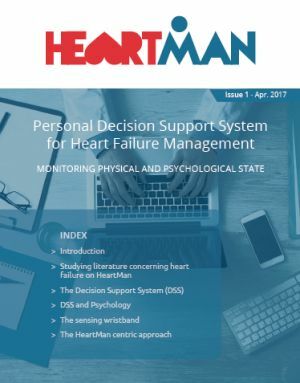 The aim of the HeartMan project is to provide accurate advice on Congestive Heart Failure (CHF) disease management adapted to each individual patient in a friendly and supportive fashion. Please click here for the HeartMan brochure. Please click here to read the fourth issue of the HeartMan Newsletter. Please click here to read the third issue of the HeartMan Newsletter. Please click here to read the second issue of the HeartMan Newsletter. Please click here to read the first issue of the HeartMan Newsletter.